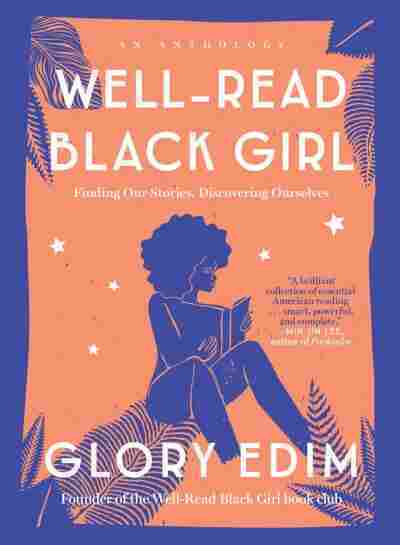 The Rise Of The Well-Read Black Girl Book Club Glory Edim loves to read and talk about what she is reading. So she started a fellowship that became a literary festival, a collection of essays and a national phenomenon. The way Glory Edim tells it, it all began with a T-shirt. It was a birthday present from her partner, bearing a simple statement: "Well-Read Black Girl." The shirt was also embellished with names of some Edim's favorite black women authors, from Toni Morrison to Gloria Naylor. It attracted a lot of attention. "I would be wearing the T-shirt in public spaces in New York City," she says. "And as you know, we tend to be in close proximity to each other all the time. So sitting on the subway talking to people, and black women coming up to me and asking me about where I got the T-shirt, who my favorite author was — it just started these very natural conversations." "So if you want to come and join and talk about black women writers, you're more than welcome," Edim says. "If you want to talk about Ernest Hemingway, this might not be the book club for you." 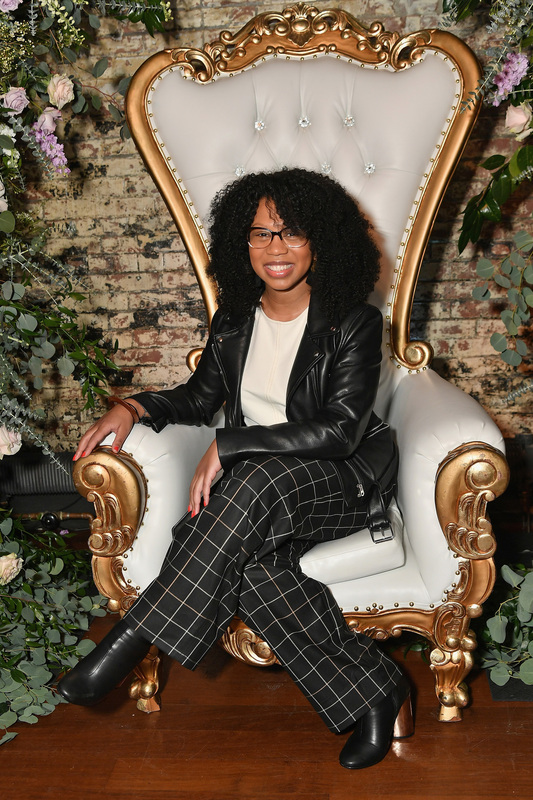 Over the weekend, Well-Read Black Girl held its now-annual literary festival in Brooklyn, N.Y. This year, it coincides with the publication of an anthology of essays, edited by Edim and written by other black women authors. It's called Well-Read Black Girl: Finding Our Stories, Discovering Ourselves. "It really feels like taking a long exhale," Bruce-Eddings says. "They're very informal. We sit in a circle. And it's just such a comforting and welcoming space." "It feels like a found thing," Powell Watts says. "You know how when you're listening to your radio and a song you love comes on and it just feels like it's so — it's just meant for you that day? It feels like you've discovered something amazing and wonderful that was designed for your good." "Originally I thought that everyone would have a different story about Toni Morrison," Edim says. "Which would have been incredible, but that was a little bit of the fear. Will everyone write the same story about The Bluest Eye? Will it sound repetitive? And that was not the case at all." Stephanie Powell Watts, who was raised as a Jehovah's Witness, wrote about the Bible stories she learned as a child. These are the first stories that inspired the telling of the stories of my own life. I don't mean that I wanted to write religious tales or parables, but I wanted to write stories that spoke to my time in the world and the people I know. I wanted to tell about their extraordinary lives, their attempts to maintain dignity in a hostile world, their dreams for their children and grandchildren that would come after them. The stories of the people I lived with, was related to by blood and law, knew in the neighborhoods and communities of the new South, sounded much like those stories I loved from Scripture. Carla Bruce-Eddings loved the children's book Amazing Grace by Mary Hoffman, about a girl named Grace who was told she could not play Peter Pan in a school play because she was black and a girl. Grace wouldn't let anyone impose those limitations on her. "Grace is, ultimately, who I landed on, but it wasn't so much because I saw myself in her completely," Bruce-Eddings says. "It was because she was who I aspired to be." "I have a 3-year-old daughter right now," she says. "And when I was building her library, I realized that I'd lost my old copy of Amazing Grace, so I immediately ran out and bought another one. And as I was reading it to my daughter for the first time, tears came to my eyes because it just felt like I was home in a way, and I was realizing all these things about myself that I had made peace with. And now I was able to pass her on to my daughter."